Los Alamos Daily Photo: Golf 'Til It Snows! 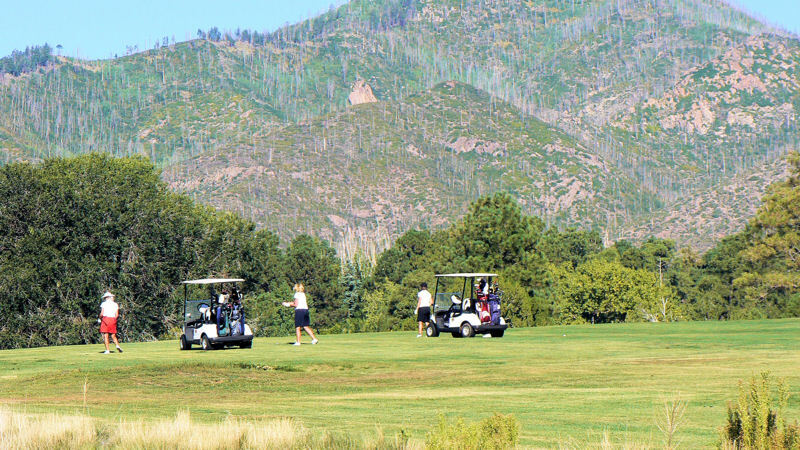 Golfing on Los Alamos Golf Course. Aftermath of the 2000 Cerro Grande Fire on the mountains can be seen in the background.